Your Good-Natured Plumbers in Lancaster and the Surrounding Areas Looking for a trusted plumber in Lancaster County, Chester County or Delaware County? At Summers & Zim’s we’re your good-natured plumbers, a team of service professionals who get things done with a constant focus on our customers and their needs. We’re proud to be the go-to source for home and business owners throughout this portion of PA, delivering not only plumbing services but also heating and air conditioning repair and installation, too. When you need a trusted plumber in Lancaster, PA, Coatesville, West Chester and the surrounding communities, look no further than the team at Summers & Zim’s. Welcome To Nelson Commerical Plumbing! NCP Solar, a division of Nelson Commercial Plumbing, is family owned and operated. We have proudly served Frederick, MD and the surrounding areas for 12 years. 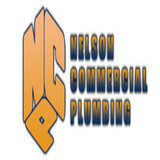 Experienced professionals assist with Nelson Commerical plumbing installations. We have an increasing concern about the environment and the opportunity to provide our customers with new earth-friendly products. Everyone on our team is committed to providing top-quality, courteous service. exceeding your expectations is our goal! 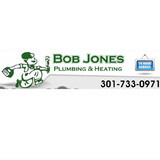 BOB JONES PLUMBING & HEATING, INC., is a full-service plumbing company which has been providing superior service for over 25 years. We are licensed and insured to work in Maryland, Hagerstown, Frederick, Pennsylvania, and West Virginia. We take pride in offering good, reliable, quality work at reasonable rates. We assure our customers that we will take care of all plumbing issues properly. My crew and I will always RESPECT your home and property, use only QUALITY materials, GUARANTEE all of our work and will provide FRIENDLY service. Our goal is to give our clients VALUE and nothing short of the excellence that you expect and deserve. We offer a large variety of services from a small leak to major repairs and renovations, all with experienced, expert and professional staff. We also offer new State-of-the-art services such as Trenchless sewer and water line replacement, relining of your old water and sewer lines, energy efficient "tankless" water heaters, and sewer cleaning with camera inspection to name a few! If you don't see it on the website, ask if we can do it - chances are we are who you have been looking for. Griffith Plumbing, a subsidiary of Tri-County Pump Service, Inc, offers a wide variety of residential and commercial plumbing services to Hagerstown, Maryland, Virginia and surrounding area. Our certified plumbers provide plumbing services from repairing your leaky faucet to new home plumbing installation, appliance hook ups, bathroom renovations, toilet installations, water heater installation and repair, sewer and drain services, or water treatment systems. We pride ourselves with our outstanding customer service and customer satisfaction as your local Hagerstown, Maryland plumber and surrounding area. Tri-County Pump Service is a family owned business providing licensed, reliable service since 1991. We service Maryland, Loudoun Co. Virginia and Martinsburg, WV. Our desire is to continue to expand our service throughout these regions. Our technicians specialize in service, installation and repairs. With over 100 years of combined experience we will strive to provide you with quality service.We have been a member of the Better Business Bureau for 17 years with an A+ rating. We are committed to building and maintaining long term relationships with our customers. Your satisfaction is our number one priority. 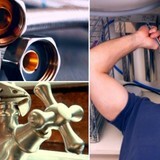 When you need a plumber in the Philadelphia area, call Quinn's Plumbing Heating Cooling. We provide a full array of residential and light commercial plumbing and HVAC services that our Philadelphia and Reading customers can trust to be reliable. We are experienced and able to handle any problem you may be having with your plumbing or HVAC system, including emergency service. Contact us today if you are looking for expert service, competitive upfront prices, and guaranteed workmanship. We've been the home of the "Good Natured Guys" since 1930. A family owned organization, we've been doing our best to serve our small community's plumbing, heating and cooling needs over the last 85 years. Alexander Plumbing has been serving Cecil, Harford, and Baltimore County, Maryland customers as well as Northern Delaware customers for over 9 years. 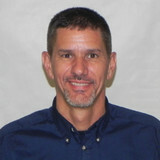 Mark Alexander is a master plumber and gas fitter with over 29 years of experience in all fields of plumbing. We will provide a free estimate for most jobs. At Alexander Plumbing Services, we make every effort to minimize the inconvenience that plumbing services can require. We always give a courtesy call to your cell or work phone 1/2 hour before we arrive so you don’t have to stay home all day waiting for us! We guarantee that you will be completely satisfied with our staff and service. In fact, we offer a one year guarantee on most work performed by our staff. Founded in 1996, we are a locally owned and operated company ready to serve you. With over 25 years of experience, our goal is to treat each customer like family, providing speedy, efficient, quality service along the way. Our expert technicians are on call 24 hours a day, 7 days a week. See what we can do for your quality of life. Schedule an appointment with SE Green today!